Open Solaris on Xen - finally something real to touch. If you are a developer you can join and help making this project real. Today, we're making the first source code snapshot of our OpenSolaris on Xen project available to the OpenSolaris developer community. There are many bugs still in waiting, many puzzles to be solved, many things left to do. A true work in progress. Why are we doing this now? Because we don't believe the developer community only wants finished projects to test. We believe that some developers want to participate during the core development process, not after, and now this project opens its doors to that kind of participation. We have a snapshot of our development tree for OpenSolaris on Xen, synced up with Nevada build 31. That code snapshot should be able to boot and run on all the hardware that build 31 can today, plus it can boot as a diskless unprivileged domain on Xen 3.0. Running on Xen, OpenSolaris is reasonably stable, but it's still very much "pre-alpha" compared with our usual finished code quality. Installing and configuring a client is do-able, but not for the faint of heart. The current instructions can be found here. All reasonable combinations of Solaris, Linux, *BSD, and other paravirtualized OSes should interoperate. Maximal portability to enable Solaris-on-Xen ports to other architectures. Observability and debugging to enable performance work, RAS, system management, and sustaining. See also Dan Price's What's New for SX 2/06 based on b31 (so in b33 there's even more). 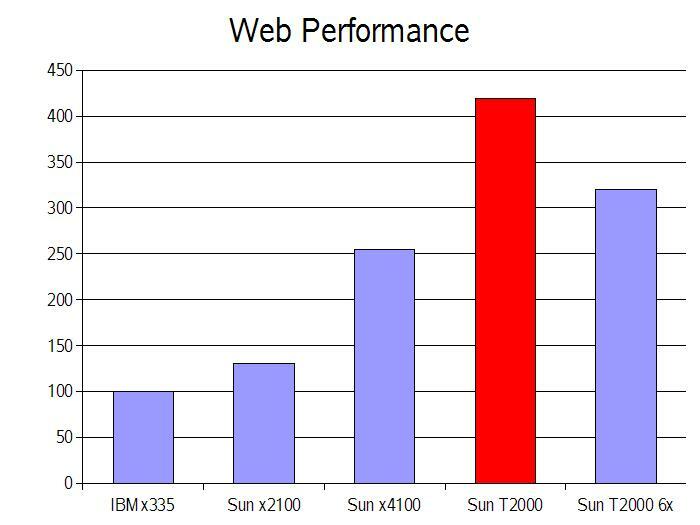 Sun Microsystems Announces Plans to Bring Breakthrough Efficiency of UltraSPARC T1 Processor to Upcoming Netra AdvancedTCA Blades and Carrier-Grade Rack Server Line. 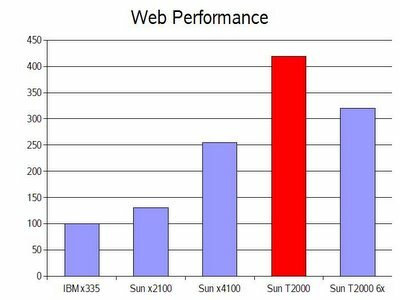 Sun on Tuesday released the specifications for the UltraSPARC processor architecture 2005 and its HyperVisor API under the General Public License (GPL) 2.0. The architecture is available at www.opensparc.net. "Surya project aims to improve IPv4 forwarding path scalability. Improving forwarding scalability enables a Solaris machine to forward a higher number of packets per second to a greater number of destinations described in the forwarding table." FreeBSD's implementation of Radix tree was chosen. The Surya project is ready to code review. You can participate in discussion at networking-discuss. Design doc is available at http://www.opensolaris.org/os/community/networking/surya-design.pdf. Solaris 10 has been released just a year ago and now there're 4 million Solaris 10 registered licenses! To hunt cow in its native habitat, the focus of observability infrastructure must make two profound shifts: from development to production, and from programs to systems. These shifts have several important implications. First, the shift from development to production implies that observability infrastructure must have zero disabled probe effect: The mere ability to observe the system must not make the delivered system any slower. This constraint allows only one real solution: Software must be optimized when it ships, and—when one wishes to observe it—the software must be dynamically modified. Further, the shift from programs to systems demands that the entire stack must be able to be dynamically instrumented in this way, from the depths of the operating system, through the system libraries, and into the vaulted heights of higher-level languages and environments. There must be no dependency on compile-time options, having source code, restarting components, etc. ; it must be assumed that the first time a body of software is to be observed, that software is already running in production. ... and DTrace was born. If you created zfs pool with filesystems on it - it could happen that you destroyed that pool not really wanting it. Fortunatelly when you destroy a pool all that ZFS does is it marks that pool as 'destroyed' but no data or config on disks are erased. Making some really simple changes to ZFS utils (and to ZFS fs itself) you can easly recover previously destroyed pools with all filesystems and data on them. When you do 'zfs import' it lists you available pools in a system skipping destroyed pools. After applying below changes you will also see destroyed pools which are marked '(DESTROYED)' in a state property. Using 'zpool import -f ' you can import again such pool. pool was destroyed, but can be imported using the '-f' flag. (void) printf(gettext("action: The pool can be imported"
+                       (void) printf(gettext("  The\n\tpool was destroyed, "
(void) printf(gettext("  The\n\tpool may be active on "
"on another system, but can be imported using\n\t"
(void) printf(gettext("action: The pool can be imported "
"despite missing or damaged devices. The\n\tfault "